Studies suggest we may be undervaluing the contributions of nurses. Studies suggest that nurses going on strike may have more of an impact on patient health than when doctors do. Last weekend, Brigham and Women’s Hospital narrowly averted a strike that would have left one of America’s premier medical facilities without the nursing staff to support patients ranging from newborns in need of intensive care to elderly patients in need of heart surgery. But even in the days leading up to the strike, the hospital was canceling, rescheduling, and redirecting patients in anticipation of reduced capacity. The process was fast and ugly. For example, on Wednesday, Brigham canceled long-scheduled open-heart surgeries that were set to take place the very next morning. This was an emotional roller coaster—and the source of avoidable delay and risk—for patients and their families, who became pawns in the hospital’s protracted labor negotiations. One of us had the unfortunate experience of observing the strike’s impact firsthand, when a close family member had a time-sensitive major surgery canceled at the last minute after arriving from out of state for the procedure. This left us wondering what a strike might mean for her and other patients. We naturally turned to the internet, the source of all contemporary wisdom. We found a 2012 academic study by two health economists that examined the consequences of 50 nurses’ strikes in New York state over two decades. The findings: Patients admitted during strikes were more likely to die or be readmitted. The study put the Brigham and Women’s strike in sobering context, and it spoke to the essential role of nurses in American health care. In a system that is so often criticized for waste and overtreatment, nursing staffs are central to patient welfare. To appreciate why it’s a surprise that striking health care workers would affect patient outcomes, it’s helpful to have a sense of the broader landscape of health care research. Within the U.S., a lot of research has focused on understanding why we spend so incredibly much on health care—more than any other country on earth—and yet are less healthy than residents of other developed nations. There’s even a term for our predicament: flat-of-the-curve medicine, which describes medical procedures that increase spending with no apparent benefit to health (thus putting us on the flat part of the curve relating medical expenditures to health benefits). To the extent that U.S. health care involves a lot of waste and overtreatment, reducing the number of procedures or creating a bit more pressure to use resources wisely might not do any harm. There’s even research on doctors’ strikes suggesting that hospitals might do more with less. A 2008 review article on five such strikes between 1976 and 2003 in Los Angeles, Israel, Croatia, and Spain found that in every case patient mortality dropped or stayed the same during the strike. Of course, as the authors observe, some of the reduction in mortality likely came from postponed elective surgeries—procedures that carry risk of death but may be put off at least for a while—so it’s hard to know what the longer-term consequences might have been. A starker critique appeared last year, in which researchers looked at what happened to heart attack survival rates when cardiologists were off at one of their two annual meetings. Turns out you increase your chances of surviving a heart attack by about a third when heart doctors are out of town. One rejoinder to the study is that these meetings only empty hospitals of more academically inclined, less practiced physicians (in a field where lots of learning comes by doing), leaving patients in the hands of the most seasoned practitioners. Many nurses are highly skilled seasoned practitioners who do critical work ranging from administering medicine to caring for wounds. They keep tabs on your vital signs if you find yourself in the intensive-care unit. And yes, they work with physicians doing heart surgeries and the other operations that Brigham canceled in its high-stakes game of chess. In their 2012 study, health economists Jonathan Gruber and Samuel Kleiner analyzed hospital records from 1983–2004 to compare whether patient outcomes—most notably in-hospital mortality and 30-day readmission rates—are affected by whether an admission occurs during a strike (and what fraction of a stay occurs during a strike). They use nearby hospitals where no strikes occur as benchmarks to account for, say, seasonal changes in health. In contrast to findings on physicians, and flat-of-the-curve theory more broadly, Gruber and Kleiner find a nearly 20-percent increase in patient mortality when nurses go on strike. Discharged patients are more likely to find themselves back on the inpatient wards during strikes, as 30-day readmission rates rise by nearly 6 percent. The U.S. government recognized the essential role nurses play and limited collective bargaining by nurses—along with doctors and other hospital workers—under the 1947 National Labor Relations Act, designed to prevent patient lives from hanging in the balance during labor negotiations. Nixon reversed the exclusion of health care workers from unionization in 1974, which put us in the position that we’re in today, when a strike—or even a threat of one—can endanger patients’ well-being. In the Brigham case, the timing of the strike was also critical. Beyond their day-to-day tasks, nurses help medical interns get their bearings. To up the ante in the negotiation, the Brigham nurses union scheduled the strike to occur just as the previous year’s interns were leaving and the new ones were arriving fresh from medical school. If we value nurses’ work and want them to be paid fairly but also recognize that a nurses walkout can put patient lives at risk, what is the best way forward? First off, policymakers should revisit the ability of health care workers to strike, as strikes really do have the potential to cost lives. Hospitals promise they will maintain high-quality nursing during strikes, for example by bringing in temporary replacements. But the Gruber and Kleiner study suggests these claims are wishful thinking—if replacements are used, they may be of lower quality or quantity than the regular nursing staff. 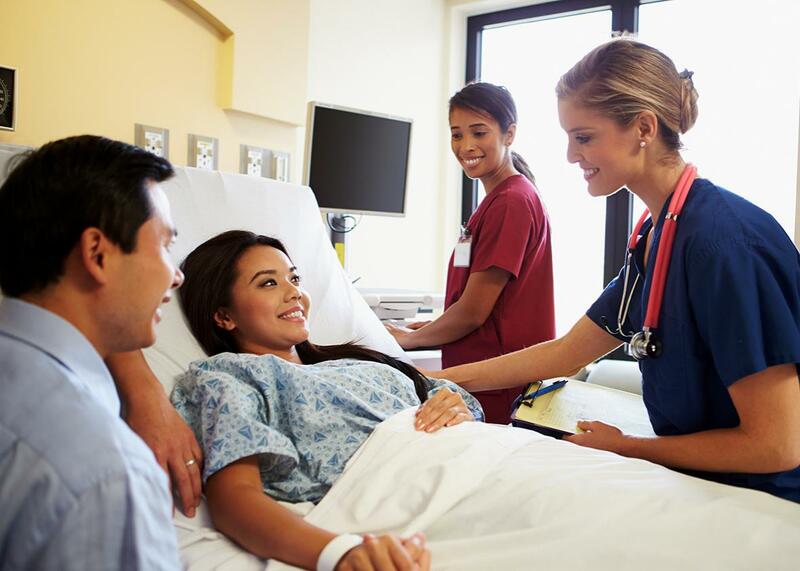 Even if the quality is unchanged, having a nursing team that is new to a hospital leads to additional frictions and delays in a fast-paced environment where minutes matter. The study’s findings should also make us rethink our priorities. Maybe we should reconsider where the incremental dollar of hospital spending goes. Nurses matter—a lot—and perhaps hospitals should employ even more of them (though the study’s results, which look at a disruption to existing staff rather than adding more nurses, would not imply this directly). The study also points to a deeper and well-recognized problem in American health care: Often the quality of care is disconnected from what providers are paid. While there have been efforts to reward better outcomes under the Affordable Care Act, for the most part hospitals are still paid for inputs—the procedures performed and time spent in a hospital bed—rather than outputs—i.e., whether patients get better. If payments were tied strongly enough to patient outcomes, perhaps nurses would get the respect—and earnings—that they deserve. And we wouldn’t need to deal with nurses’ strikes in the first place.